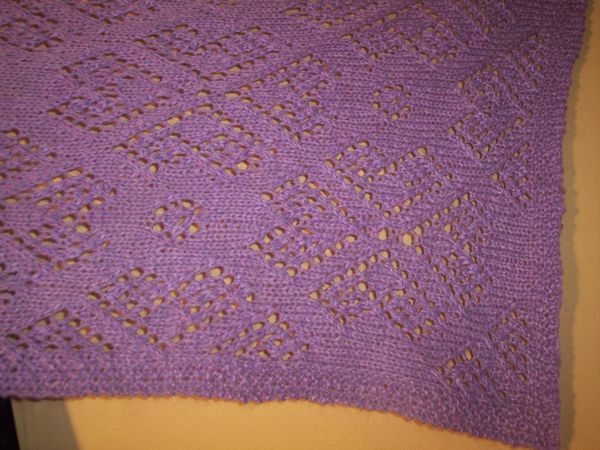 Barnaba Shawl by Denise E.M.Bartels ,- knitted by me . Thank you very much for your comment ! The color is different for 'whatever'reason in these pictures, but real color is at the bottom,- the third one ! Absolutely beautiful! Worth the concentration and hard work! Congratulations! Thank you very much,- I agree with you ! It looks great with my grey hair,- makes me feel good ! My very best wishes to you also ! 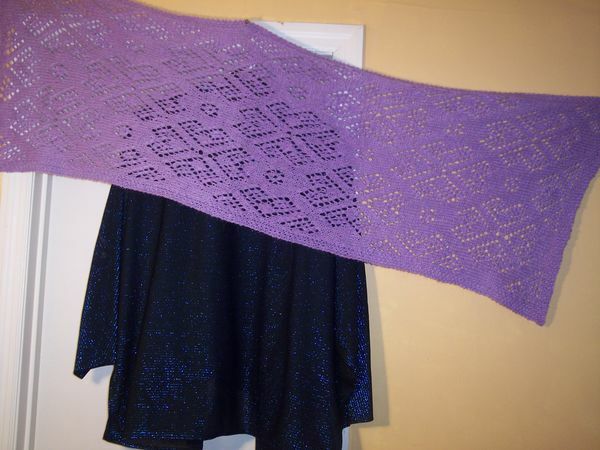 Thank you very much to "TexasKnitem" and "Kristine2001" for liking my shawl ! My very best wishes to both of you in your knitting also ! 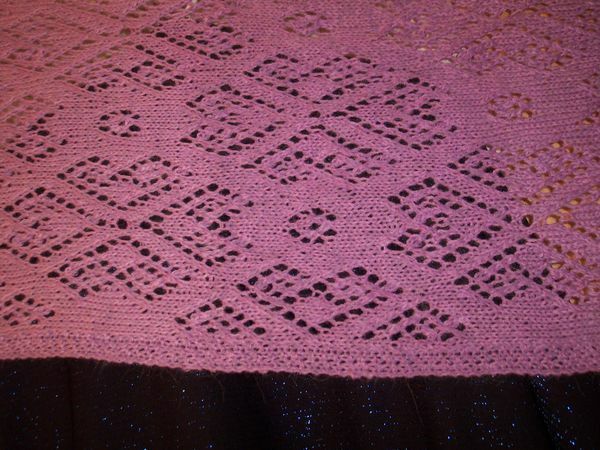 Thank you very much for liking it,- you may try to knit this shawl,- You'll be addicted ! Thank you to "jemadu" and "d55n" for commenting on my shawl,- I wish the best of luck to both of you in favorite craft also ! Your scarf is beautiful. How long did it take to complete?